Here at the Farm School Initiative, we believe in good food and we hope to both inspire and educate as many people to love good, healthy food (and know just where it comes from too!) The learning possibilities on our farm are endless. Our school projects can be as big as you want to make them and can cover many other areas of the year group curriculum. Join us for our 6 week projects, take part in farm workshops or visit the farm for a year group day trip.  Join us on our Sprouts Farming Club for fun on the farm! Mondays and Saturdays in Spring, Summer and Autumn. These sessions are available for children aged 6-14 years and are great fun for the young farming enthusiast! WHY CHOOSE THE FARM SCHOOL INITIATIVE? Schools are already making big changes to help children make healthier food choices, but we are helping to take this one step further. By showing children they can grow their own produce and help care for animals; students can develop their understanding in farming, where their food comes from and also the value of growing. Our sessions are fun, engaging and inspiring, and can be linked to many core areas of the curriculum, for any age group or Key Stage. From wholesale organic veggies, eggs and pork - to farm gear, notebooks and gift cards for your mini sprout at Farm Club- find it in our online farm shop! You can now join us in the holidays for a full week of farm fun! Food is important to us, so breakfast, lunch & snacks are prepared with the kids on site - straight from the field. Not everyone can afford to go to after school clubs (not even in Jersey!) Find out how you can help and become part of our project.